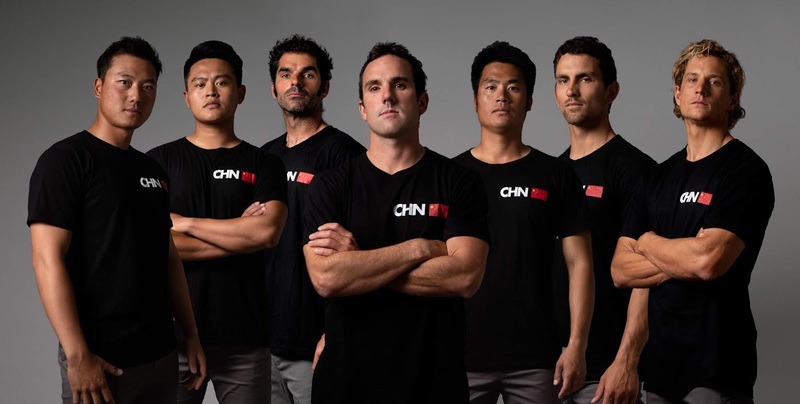 The China SailGP Team will be helmed by veteran New Zealander Phil Robertson, a regular fixture on the World Match Racing Tour podium since his debut in 2009, and a championship winner in 2016. He will be leading the fight for China against Australia, France, Great Britain, Japan and the United States, alongside some of China’s top home-grown sailors: Liu ‘Black’ Xue (grinder), Jinhao ‘Horace’ Chen (grinder) and Liu ‘Leo’ Ming (reserve grinder), who have all represented Dongfeng Race Team in the Volvo Ocean Race, including during the team’s winning campaign in 2017-18. “China’s potential in top-level international sailing is limitless – from the size of the fanbase, to the commercial market, to the development of talent on the water,” said SailGP CEO Russell Coutts. Spearheaded by Larry Ellison and Coutts, SailGP has set out to redefine sailing and will bring intensely competitive, inshore racing to fans in Sydney; San Francisco; New York; Cowes, U.K.; and Marseille, France, as world-class crews compete for the championship trophy and a US$1 million prize. The teams will be racing identical wingsailed F50s – the fastest catamarans in the world, precision-engineered to break the 50-knot (60mph/100kph) barrier. China is on tap to be one of the first expansion event markets for SailGP, with the country’s sailing community set to reap the benefits of exposing China’s sailors and sports fans to a brand-new international racing experience. From season two, SailGP will begin a legacy program that will see youth programs in every team market provide development opportunities to young sailors via schools and yacht clubs. SailGP and World Sailing rules designate China as a developing country, allowing the team to select a specified number of non-native athletes to participate with the national team so it can safely pilot the demanding F50 yachts from the very first race. The China SailGP Team has a 40 percent nationality requirement for season one, which will increase by 20 percent each season. In parallel, China SailGP Team will create a youth development academy to train talented young sailors for future competition. Eventually, every national team will be fully comprised of athletes native to the country they are representing, sharpening the nation-versus-nation edge that sets SailGP apart from many other top-class sailing competitions.